Spreading, red-stemmed annual with clusters of cylindrical, fleshy, bright green leaves. 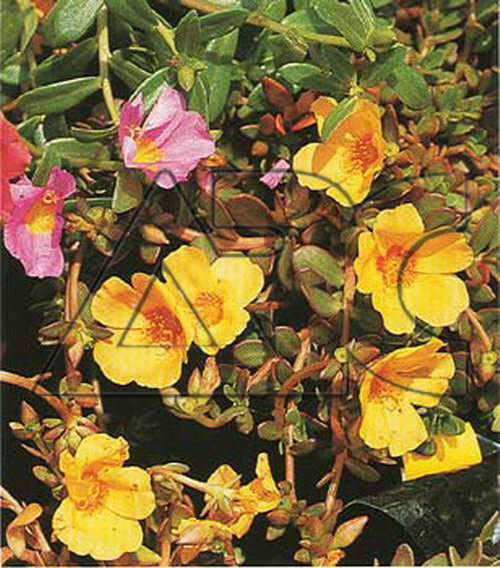 In summer, produces single or double, mid-to dark green, satin-textured, rose-pink, red, yellow, or white flowers, sometimes striped and flecked in a contrasting color. The flowers close at night and also on cloudy days.